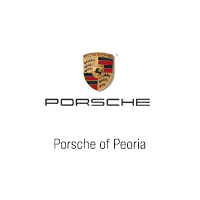 Please join us at Porsche of Peoria on Saturday, October 20th from 2-6 PM for the Porsche Cayenne Launch Event! Enjoy live music, complimentary beer, activities, and food from the German American Society! What better way to spend a Saturday afternoon? It is said that happiness is only truly real when shared. Which is why our history is filled with novel approaches to helping the owners of Porsche cars share their passion for the sports car experience. Even the iconic 911, with its 2×2 configuration, remains steadfastly committed to the cause. But in the Cayenne, we have perhaps our most clear example of thrilling generosity. Race-ready like every other Porsche made, the Cayenne mixes soul-stirring performance with elegance, dynamism, as well as the latest technology. Fill it with family or friends, or both, and hit the throttle. There’ll be no mistaking the result. Because only a Porsche can make the day-to-day feel so much like once-in-a-lifetime. Fill it with family or friends or both and hit the throttle. There’ll be no mistaking the result. Because only a Porsche can make the day-to-day feel so much like once in a lifetime.